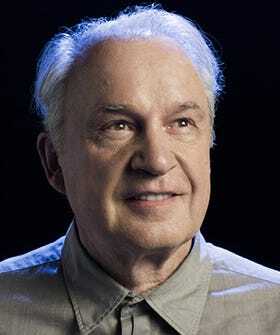 We love to love you, Giorgio Moroder. Four decades into his career, the renowned electronic and disco music producer is showing no signs of stopping. In addition to producing several of Donna Summer's greatest hits, including "Heaven Knows" and "On the Radio," Moroder has built an extensive repertoire of film soundtracks and discotheque bangers that remain unmatched today. Most recently, he collaborated with dance duo Daft Punk on its latest album Random Access Memories, and remixed his and Donna Summer's "Love to Love You Baby" for the 2013 remix tribute album Love to Love You Donna.